Name the guy who ran for Congress in 1968 who later went to prison for his role in the Watergate scandal. Submit your answer in the box below. We’ll pick a winner at random from the bunch. The winner will get a fabulous, vintage Political Junkie button and their name announced on Episode 37. And for those of you who have won in the past, we want to share your victory! Email us a picture of you wearing your button and we’ll help you brag on social media. And speaking of social media, you never have to wait for the podcast to get the weekly trivia question. We give a sneak peek every Wednesday on our Facebook page. The last trivia question was: We know that Michelle Nunn, the daughter of former Georgia senator Sam Nunn, is the Democratic nominee for the Senate this year. Who was the LAST daughter of a statewide elected official to be elected to the Senate in her first run for public office? 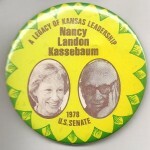 The answer is … Nancy Kassebaum. 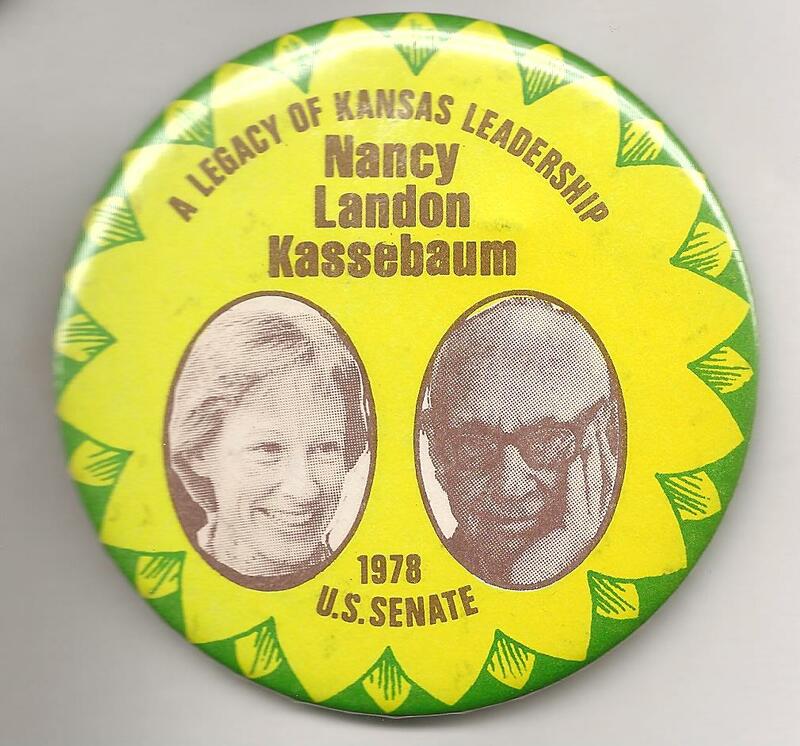 The Kansas Republican, elected to the Senate for the first of three terms in 1978, was the daughter of former Kansas Governor (and 1936 GOP presidential nominee) Alf Landon. And the winner is … Ron Pimentel of Pepperell, Massachusetts. Ron gets the Political Junkie button!